Electronic commerce requires a robust supply chain and last mile distribution network along with reverse logistics mechanism. Electronic commerce requires a robust supply chain and last mile distribution network along with reverse logistics mechanism. Such format of businesses pose a very unique set of logistics needs which is not readily available in any market. Many researches and case studies have clearly indicated that when a company’s supply chain management functions well, consumers are sure to prefer that business over any other. From what started as an offering only to educated buyers looking for convenience, eCommerce has started rooting itself into the Tier II, III and IV cities of the country. With the growing Internet penetration and adaption of online shopping habits, eCommerce in India now has “no geographical boundaries”. 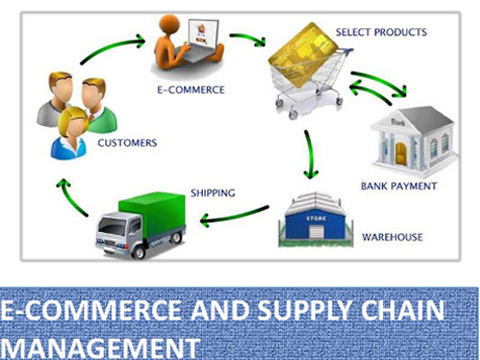 However, supply chain management is the key factor that can make or mar an online business. The model of delivery systems has bypassed many evolutionary stages, but over the last 10 years, it has taken a paradigm shift across the globe. Compare the time of 70s when typical retail stores used to source their goods directly from suppliers or wholesalers, to the era of centralised store deliveries in the 80s or the global sourcing and import centres in the 90s to that of eCommerce and e-fulfilment distribution networks in this new millennium, the retail logistics have evolved and how! So much so that players like Flipkart, Myntra and Localbanya.com are building their own solutions. Talking to the retailer on the same, Karan Mehrotra, Co-founder and CEO, Localbanya.com, says that since there are no software products available for deliveries of online groceries, they have built their own SCM. “We have been operating SCM from day one. We had to create our own last mile infrastructure from beginning because there is no other physical distribution network that delivers everything that we are. So, we have been creating and innovating on the last mile space. We do four wheel deliveries and two wheel deliveries,” he said. Although they have got multiple temperature controlled storages on four wheels, they are trying it out on two wheels as well. It stands testimony to the fact that there is lot of innovation online retailers do around the last mile distribution. “We don’t have logistic centres we have distribution centres in Mumbai and Pune, but our newer markets are infrastructure free,” he explained. Many surveys indicate that people will buy more and more with their cell phones and wallet will soon become as unnecessary as watches. This will not just narrow down the buying options for consumers but will also make e-tailers toggle about building an efficient, accurate and a cost-effective delivery process. Take FirstCry for instance, whose logistical partner is Xpressbees Logistics. FirstCry got XB on board in July 2012 and it helps them reach around 136 cities. National providers like Blue Dart, First Flight, Aramex etc are their logistical partners too, but bulk of their shipment goes through XB. As they say “buy where you connect and connect where you buy”, the entire procurement, storage, invoicing and delivery has become the backbone of an online business. The perplexity between the options of employing courier companies, hiring a third-party logistics provider to handle logistics or establishing your own delivery network such as Flipkart is something that needs an immediate check. Speaking on the same, Nitin Purswani, Founder & CEO, Zepo, said, “Although logistics infrastructure has witnessed accelerated growth lately, their elevated pricing have remained a biggest bottleneck for SMBs in the eCommerce segment. With the poster boys of eCommerce such as Flipkart and Snapdeal offering shipping for almost zero cost, the online shoppers have taken free logistics for granted.” (Zepo offers aggregated orders to the logistics companies largely to SMBs at a very competitive pricing). Supply chain management is a crucial department that makes or breaks an online business. The major challenge could be of working with all the dependencies. Although many online retailers do some part of the logistics themselves, they still depend upon some infrastructure outside. “Managing those infrastructure dependencies, managing third parties with or without technology becomes a challenge. But opportunity is there with delivering very good experience to the consumers. At Myntra, we don’t look at ourselves as a big company; we consider ourselves as a small fashion company which is operating supply chain to deliver good experience. We don’t look at competitors in SCM,” explains Kompalli of Myntra. LocalCube Commerce Pvt Ltd, which runs an assisted eCommerce platform under the StoreKing brand for rural customers to shop manages their last mile order process, considering all elements including customer care, vehicle, route management and service offerings. “The products from StoreKing warehouse are shipped through reliable logistic providers and delivered to our logistic master Franchisee (LMF). The LMF then delivers it to trusted StoreKing retailers. The LMF delivers the orders even to the remote areas of the district. Later, customers are informed about the arrival of the products by our Tech driven system via SMS. Thus, with the StoreKing warehouse in Bengaluru, we guarantee to deliver all items between 24 - 72 hours using a reliable distribution channel,” says Sridhar Gundaaiah, Founder, StoreKing. From automation process in factories and for online inventories to enhanced communication devices to data recognition equipments and various other automated hardware and software services, the technology has changed the delivery model upside down. New technology innovations have not only helped the eCommerce companies achieve higher efficiency, but have also cut cycle time, ensured delivery of goods and services in timely manner and enhanced the supply chain agility at a larger scale. An eCommerce business maximises the technology implementation largely in transactional process and supply chain and logistics comes next. Typically in this area, technology enables easy order processing, checking delivery status, sending dispatch advice, billing, generating order quotes etc. Customer feedback, demand forecasting, inventory fulfilment, production status and other important data are some of the other add-ons of having a technology integrated supply chain mechanism. Last but not the least, is order tracking and delivery coordination. Technology helps monitor individual shipments and ensure the delivery of the product without errors. “We are planning to partner local delivery companies operating in remote locations where we are not able to reach with our deliveries. We will integrate their systems and our systems technically so that the transaction and delivery flows smoothly. We have been able to build a unique routing algorithm and a lot of IP for last mile distribution. For us, critical focus is on supply chain, and it is not on the first mile, but on the last mile. We work on ERP (Enterprise Resource Planning) to build ourselves and that is our significant differentiator between ours and our competitors,” asserted Mehrotra of Localbanya. No doubt, employing technology at all these levels comes at a cost, but the kind of return it gives is worth it if technology is applied correctly. Ensuring same day delivery and reverse logistics are key factors and many third-party companies are trying to establish their roots in Tier II and III market due to the increasing outreach of eCommerce in India. Big players in eCommerce biz use third party logistics to cater to mass audiences which resides in semi-urban and rural cities. Citing the same, WOW Express, a logistics solutions provider, offers specialised services such as 24- hour intra-city deliveries and also hyper-local deliveries (Sub 4 Hour). “This is made possible because of our own first mile service being available in all the cities we are present in. Our first mile team does the pickup and hands over to the last mile delivery team,” said Sandeep Padoshi, Co-Founder & Director WOW Express.